The mum of a Luton teenager who died of stab wounds earlier this year has called for more blood donors in the town. Roseann Taylor, 46 supported the 30th anniversary of Luton Blood Donation Centre by calling for more people to start giving blood following the death of her son Azaan John Kaleem on March 24. 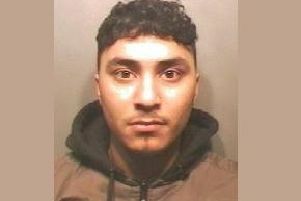 Azaan, 18, was rushed to Luton and Dunstable Hospital after he was found with stab wounds in Hartsfield Road. While in the trauma unit, he received 16 units of blood and 16 units of platelets in order to be stabilised and undergo vital surgery. Despite the hospital’s best efforts, Azaan died two days later. His mum said; “It is thanks to blood donors that Azaan could be operated on and as a family we were given the time to gather around and say goodbye. “Saying goodbye to Azaan was important to me and it brought me immense comfort knowing that thanks to the selfless act of blood donors donating just an hour of their time I got to spend another 48 hours with my son. The donor centre has on average 200 unfilled appointments every week. Of the 7,000 people who are registered with Luton Blood Donor Centre, only 4,759 regularly donate blood. More donors are needed across the town to replace those who can no longer give blood due to illness, travel or pregnancy. Mike Stredder, director of blood donation at NHS Blood and Transplant, said: “We are so very grateful for Roseann’s support for Luton Blood Donor Centre after the tragic death of her son Azaan. Blood donors gave her family the chance to say goodbye to her son and that gave her great comfort. Earlier this year 400 residents who registered as a new blood donors following a campaign. With each donation saving or improving up to three lives, more than 1,200 lives were potentially saved or improved by these new donors. While donors from all blood groups are important, the centre states that it particularly need donors who are bloodtype O negative or have the Ro subtype, which is more prevalent in people from the black community. To register as a blood donor, visit www.blood.co.uk.